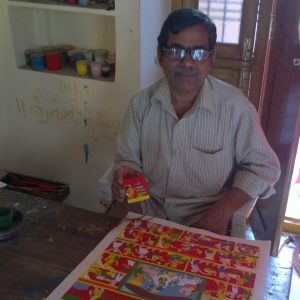 Cheriyal paintings are a dying form of art – known only to a handful of painters in the Warangal district of Telangana. 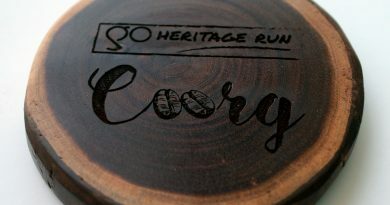 D. Vaikuntham, whose family has continued this tradition since the 15th century, is one of the masters of this art and has designed finisher medals decorated with the traditional Bathukamma motif for the Go Heritage Run – Warangal. 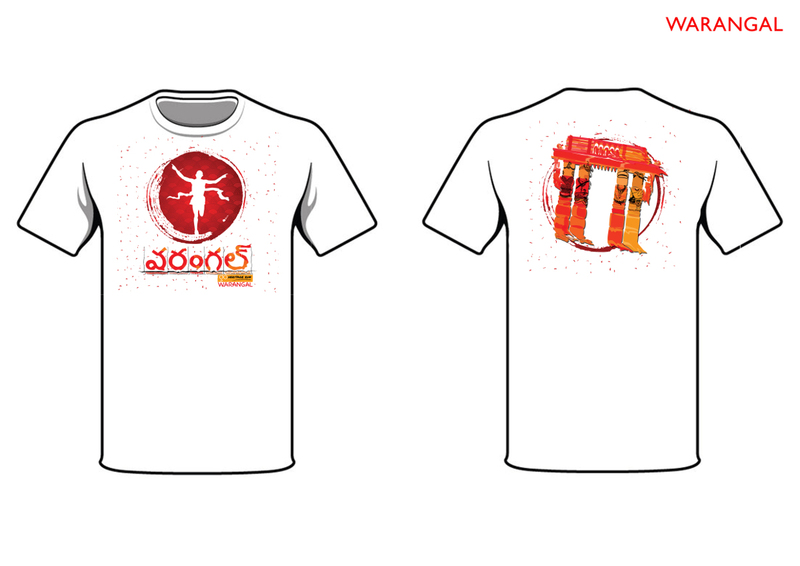 The front design of the t- shirt is inspired by the artwork outside typical Warangal homes. 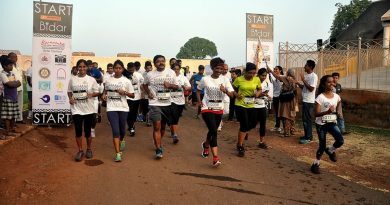 The superimposed running silhouette signifies participants taking a lap of the city. The design also has motifs inspired by Warangal’s own rich architectural heritage. 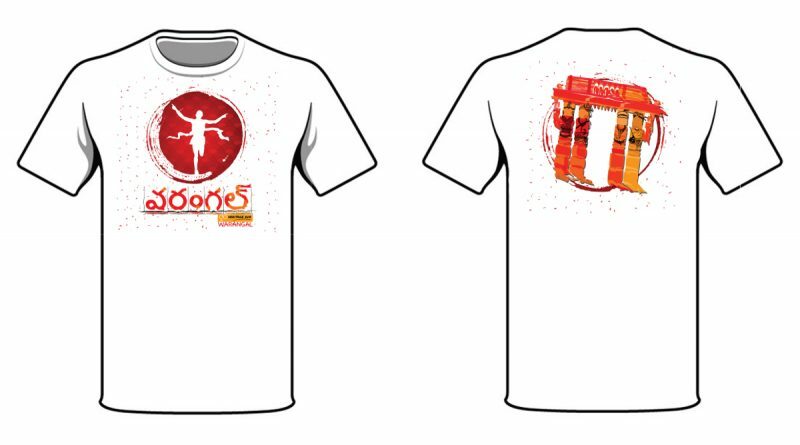 The back of the t-shirt has the decorative and lofty gates seen inside the Warangal fort – the keerthi Thoranams. 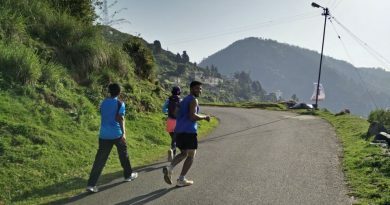 The colors of the design are symbolic of the energy and the sense of camaraderie participants are sure to experience during the run. 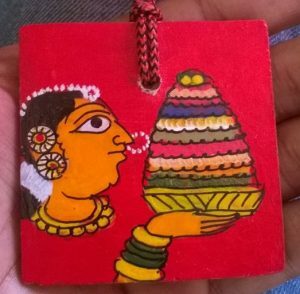 We have repurposed some of these medals into fridge magnets you can purchase, check here – Cheriyal souvenirs.